Three River Farmers Alliance is a network of local farmers working cooperatively to distribute local food to the greater Seacoast NH region. Our online marketplace provides a one-stop shop for ordering fresh local food from over 40 farms and food producers. Are you a new wholesale customer? Register here. 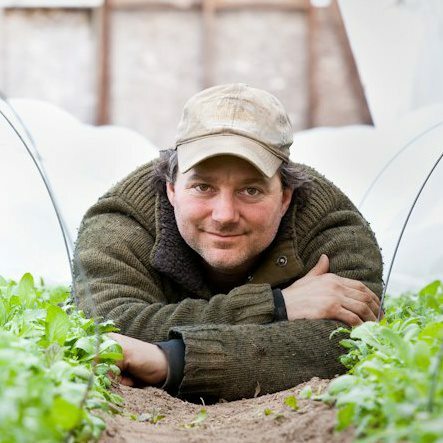 Three River Farmers Alliance began when the owners of three seacoast farms decided to pool their resources to deliver their farm products. By working together, we increase our collective capacity to provide food to our community, while saving our farm businesses time and money. In the past four years the Alliance has expanded its collaboration to include over 40 farms and local food producers and delivers to over 100 restaurants, grocery stores, schools, and institutions. In creating greater access to local food, Three River is about efficiency, collaboration, and community. Three River offers an extensive selection of locally grown, seasonally available products with a convenient year-round delivery service to restaurants, stores, institutions, schools, and other wholesale buyers. Our delivery routes include the NH Seacoast, Manchester, NH, northeastern Massachusetts, and southern York County, Maine. Our Multi-Farm CSA offers weekly Vegetable Shares delivered to your workplace or other community pick-up site. CSA members can also shop at our online storefront to order additional foods to be delivered with their weekly shares. Weekly orders can be placed at our online marketplace or through our mobile app. Ordering opens Friday at 10am, and closes Tuesday at 2am. Are you a farmer or food producer, interested in working with us? Please send us an email at admin@threeriverfa.com.